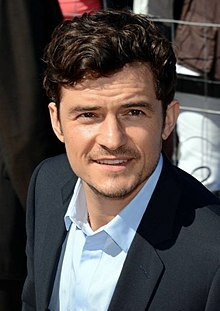 Orlando Bloom was born on January 13, 1977, in Canterbury, England. His father, South African novelist and activist Harry Bloom, died when Orlando was only four years old. In 1993, at the age of 16, Bloom moved to London, where he joined the National Youth Theatre for two years. In 1995, Bloom won a scholarship to study with the British American Drama Academy. Chosen as one of Teen People Magazine's "25 Hottest Stars Under 25" in 2002. He won the 2002 MVT Movie Award for 'Breakthrough Male'. Also won the award at the 2002 Empire Awards for 'Best Debut'. He acted in the second instalment of "The Lord of the Rings". Bloom's star has risen so fast to the height of his profession.Capricorn Sun is fond of tradition and gives him a love of antiquity, so donning antique costumes is more comfortable for him than a well-worn pair of jeans. His Sun is also in an easy relationship with Jupiter, the King of the Gods, classically the planet that rules the concepts of growth, expansion and size.